Welcome to map the circular initiatives in Finland! 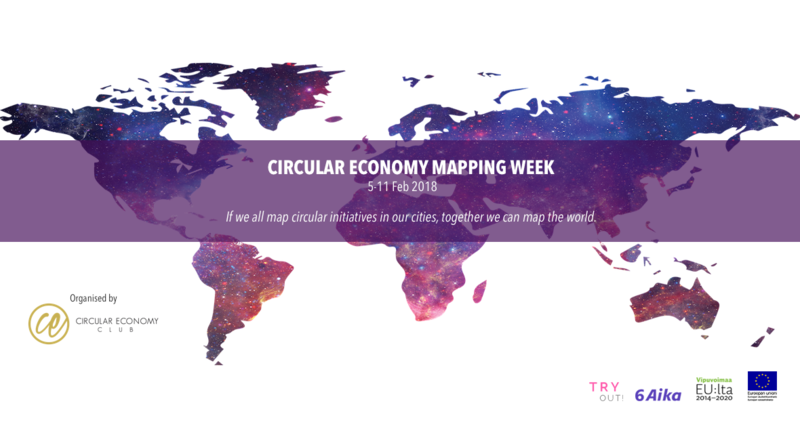 The Circular Economy Mapping Week will take place from the 5-11 February 2018 in 60+ locations globally. During this week, volunteer organisers all over the world will set up group sessions to map the circular initiatives in their cities. The Turku event will map circular economy activities in Turku & also in other parts of Finland. The Turku event is the only CEC mapping week event in Finland this year. The Turku event will take place on 9.2.2018 at 7.30-10.30 at SparkUp Turku premises.